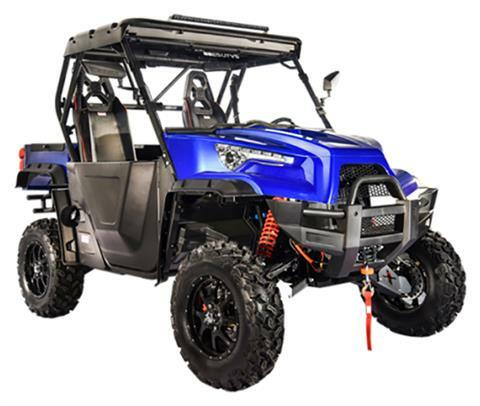 STANDARD: Long Travel Vi-LOCK Suspension, Digital Dash Display, Full Windshield, Full Roof, 32 Inch LED Light Bar, Heavy Duty Front Bumper, Heavy Duty Rear Bumper, Full LED Lighting, Electronic Dump Bed, Rearview Mirrors, Metal Frame Doors, Front 3,500 lb. Winch with Wireless Remote, Rear 3,500 lb. Winch, Towing Hitch, 15 Inch Wheels, 29 Inch Tires, Lockable Storage Boxes, Radiator Guards, A-Arm Guards, Electronic Power Steering, Open Air Intake Filter. STANDARD INTERSTATE BATTERY: ODES Partnership with Interstate batteries was a landmark deal. ODES broke the mold by not offering a generic battery like most OEMs, instead we partnered with Interstate Batteries to have their battery as standard with all our models! These batteries come with a Limited 12 Month Replacement warranty and can be serviced at ANY Interstate Battery Service location. Now you can get the best battery and the best support should anything ever happen or go wrong. VI-LOCK® SUSPENSION: The best and strongest standard suspension in the industry designed by Desert Concepts in California, home of the trophy truck. ODES partnered with Desert Concepts to bring you the all patented Variant Interlocking Boxed Arm Suspension. The Strongest and most stable standard suspension in the industry cannot be matched. This suspension gives you 14 inches of travel giving you an ultra smooth ride transferring the rocky trail from your back to the suspension. 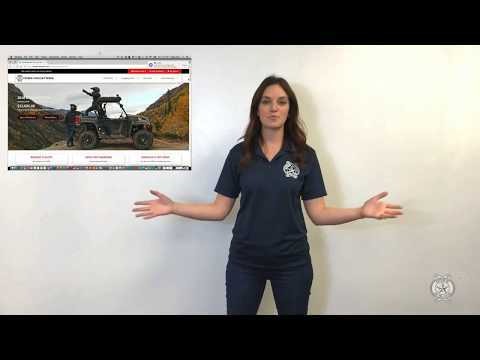 This amazing suspension system was designed in the USA and is a key reason ODES is the most valuable UTV brand. The value is in the product. ROYAL PURPLE FLUIDS: 800 cc vehicles come with Royal Purple, Purple Ice Cooling Additive as a standard feature. ODES was, again, the FIRST to offer something like this PERIOD. This cooling additive helps the system to run cooler to avoid damage to the engine and helping with longevity. This proves ODES is giving its customers more and setting the bar way too high for the rest. ODES also offers to all its customers 3 quarts of FREE Royal Purple Top Tier Synthetic 10w40 Off Road oil to be used during the first service. The value of this oil is over $50 dollars! Now you can run the best oil with the best valued UTV/ATV. Front / Rear Travel - Superior Vi-LOCK™ 14 in.